Bethel United Church of Christ had its humble beginning when residents of the surrounding area organized the Union Prayer Meeting Association. This Association represented five denominations: Reformed, Lutheran, Methodist, Episcopal, and Evangelical. In December 1872, Jacob and Lucinda Spangler donated land in Smith Station for a church building to be erected. Each faith tradition appointed trustees to represent their rights in the building. Over time, the Reformed denomination was the only community remaining. To protect their rights, the Reformed congregation secured a release from the other four faith communities and property officially came under their jurisdiction. On June 29th, 1873, they formed the Bethel Reformed Congregation, with the Rev. Jacob Sechler as their first pastor. At this time, Bethel became part of the Manheim Charge, which included St. Peter’s(Lischey’s)UCC, St. David’s (Sherman’s)UCC, and St. Bartholomew UCC. In 1883, Bethel and St. Peter’s(Lischey’s) formed the Lischey’s Charge, which continued for seventeen years. In 1900, the West Manheim charge was formed. It included St. David’s(Sherman’s), St. Bartholomew’s, St. Paul (Dub’s), and Bethel UCC. This relationship lasted for seventy-seven years. 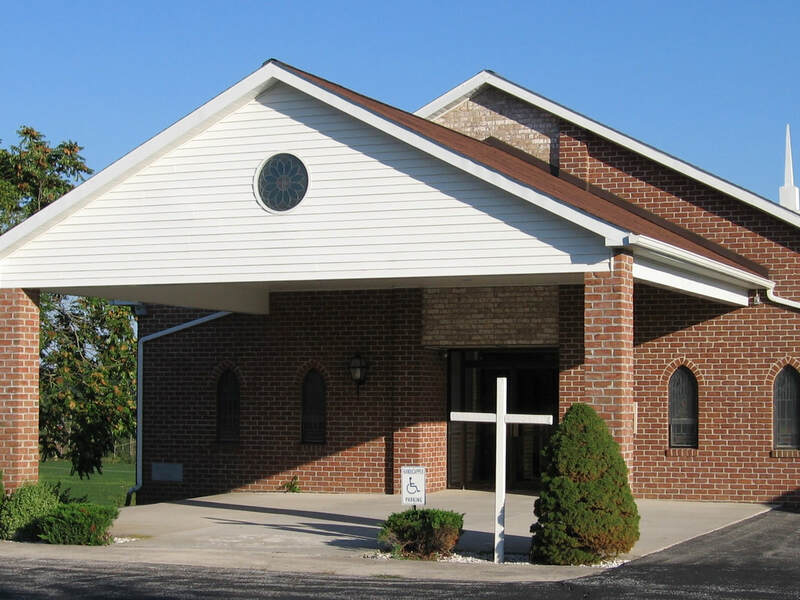 On February 1, 1978, the Marburg charge was formed and consisted of St. David’s (Sherman’s) and Bethel UCC. This relationship lasted until June 1984 when the two congregations decided to separate and call their own respective pastors. ​ The Bethel congregation grew steadily. In 1931, the building was renovated to include the addition of a primary Sunday School room, bell tower, pulpit recess, central heating, stained-glass windows, new pews and pulpit furniture, and other appointments. The cornerstone was laid on May 10, 1931 and re-dedication services were held on August 16th, 1931. In 1948, a Minshall-Estey Electric Organ was installed, and the Chancel was updated. In 1956, the lower-level was excavated to provide additional space for the Primary Sunday School Department. A new oil-burning furnace was installed, as were paneling, new lighting, and ceiling tiles. In 1958, the sanctuary was enhanced with acoustic ceiling tile and electrical wiring and lighting fixtures were updated. ​ The 100th Anniversary of the church was celebrated in June 1973. By this time, a parcel of land located one-quarter mile northeast of the church had been purchased. A building committee was appointed and in February 1980, the congregation approved the building of a new worship facility. Members of the congregation donated time, talents, labor, and gifts to make the new facility a reality. Groundbreaking occurred on March 23, 1980 and the first public worship service was held on Christmas Eve, December 24th, 1980. In 1974, a Gulbransen organ replaced the Minshall-Estey organ. A lovely outdoor pavilion was built on the church grounds in 1996. In 2004, a canopy was added to the exterior of the entranceway to provide shelter from rain and snow. In 2017, the Nursery was entirely renovated, new heat pumps were installed, the Social Hall was repainted as part of an Eagle Scout project by Justin Diehl and family, and a new reference rack was added in the Narthex. In 2018, decorative wall hangings were donated and hung in the altar area of the church, a Powerwerks sound system was contributed to assist with music and Adult Christian Education classes, and cabinets were lovingly handcrafted by member Larry Vickers and installed in the Narthex to hold Mission Project items. Over the summer months, a former classroom was renovated into a fully-furnished hospitality room with café-style seating and beverages, and two classrooms were renovated for the "Little Lambs" and teenagers. This project was spearheaded by Lynn McJunkin and Karen Beard and through the generous contributions of a member. In December 2018, the Social Hall was furnished with new tables and chairs. Currently, work is underway to renovate restrooms.